CARFAX 1-Owner, LOW MILES - 7,573! EPA 31 MPG Hwy/21 MPG City! NAV, Heated Leather Seats, Sunroof, Turbo, Onboard Communications System, Satellite Radio, iPod/MP3 Input, Premium Sound System, Back-Up Camera, TRANSMISSION: 6-SPEED SELECTSHIFT AUT... CLIMATE PACKAGE SEE MORE! Navigation, Back-Up Camera, Premium Sound System, Satellite Radio, iPod/MP3 Input, Onboard Communications System, Remote Engine Start, Dual Zone A/C, Cross-Traffic Alert, WiFi Hotspot, Blind Spot Monitor, Smart Device Integration. MP3 Player, Keyless Entry, Steering Wheel Controls, Child Safety Locks, Heated Mirrors. PANORAMIC ROOF, TECHNOLOGY PACKAGE Adaptive Cruise Control w/Stop & Go, Pre-Collision Assist, Windshield Wiper De-Icer, Enhanced Active Park Assist System, Forward Sensing System, Rain Sensing Wipers, Pedestrian Detection, Auto High Beams, Lane Keeping System, MAGNETIC APPEARANCE PACKAGE Painted Upper Grille, Aluminum Foot Pedal Cover, Wheels: 19 Satin Finish 10 Spk Machined-Aluminum, premium painted pockets, CLIMATE PACKAGE Heated Steering Wheel, Windshield Wiper De-Icer, Heated Rear-Seats, Rain Sensing Wipers, CAPPUCCINO, PREM LEATHER-TRIMMED MICRO-PERF HEATED/COOLED (G) 10-way comfort power driver/passenger seat w/4-way power lumbar/recliner and driver seat memory, ENGINE: TURBOCHARGED 2.0L I-4 (STD), TRANSMISSION: 6-SPEED SELECTSHIFT AUTOMATIC steering wheel-mounted paddle shifters (STD). 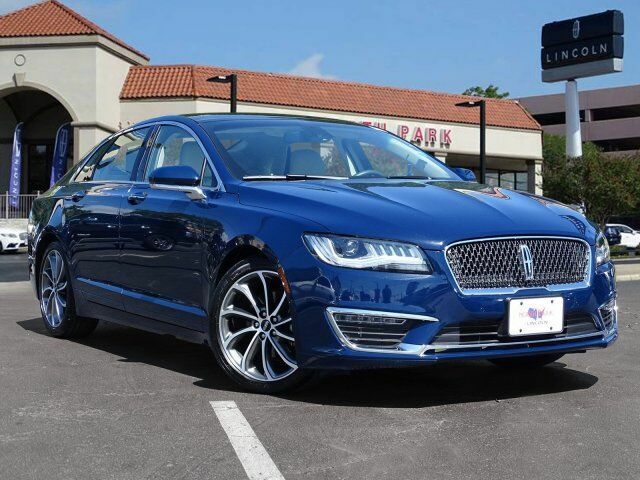 Lincoln Reserve with Rhapsody Blue exterior and Cappuccino interior features a 4 Cylinder Engine with 245 HP at 5500 RPM*. Edmunds.com explains Brake pedal has plenty of feel and engages with the quick touch of your foot. It`s easy to modulate the brake pressure, which makes for smooth stops in city traffic.. Great Gas Mileage: 31 MPG Hwy.